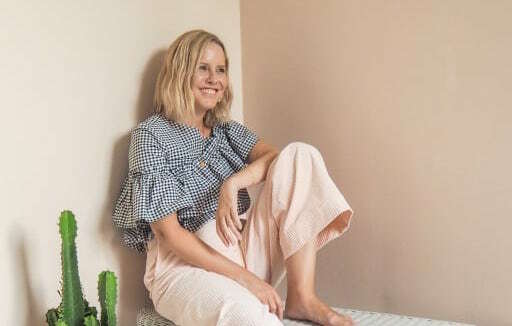 With years of experience working as a stylist and editor at top fashion magazines, Alex Stedman knows a thing or two about clever outfit choices. 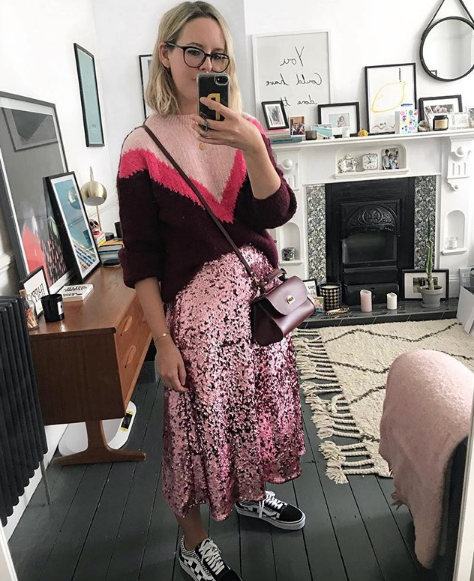 She launched her hugely popular blog - The Frugality - after regularly being asked where her outfits were from and more often than not, they’re purse-friendly, affordable high street combinations. 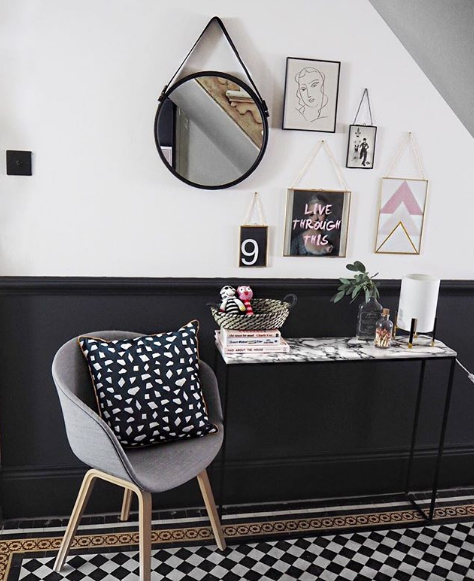 Alex has an uncanny knack of creating high-fashion looks without breaking the bank - a talent that extends to homewares and more recently, kidswear. 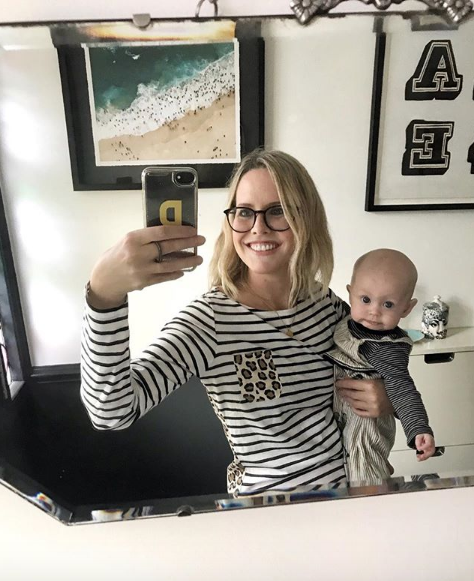 Following the birth of her baby daughter earlier this year, we caught up with new mama Alex to hear more about her morning routine, how it’s changed since giving birth and her top tips and advice for busy morning people. 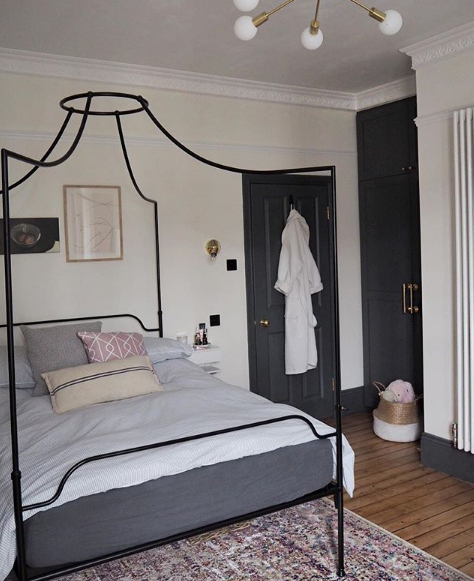 "For me no day is the same, I usually get woken up by my personal alarm clock Peggy, then often do some emails at home with a coffee before leaving the house. Some days I’m on a shoot for a brand styling look books and online imagery, other days I could be shooting street style for my blog or doing appointments or blogs for my website. And occasionally I have a day hanging out with my daughter and those days are the best. The first thing I do in the morning is feed Peggy, I tend to go with the flow, often I’ll have a pressing work deadline that I’ll have to do before I head out, other than that I try to enjoy my mornings. If I have a breakfast meeting I have the usual bloggers cliche of avocado on toast. My healthiest breakfast would be granola, and my most indulgent… Dean Street Townhouse do a lovely ham hock hash; and I love the shakshuka at Nopi. [On morning advice for busy people] I’ve always laid out my clothes the night before so I don’t have to think about it down to my underwear and I pack my bag. Lately I’ve also been washing my hair the night before not only is it tamer having been slept on but I only have to run some curling irons through it and go. [On launching The Frugality] I was working at a magazine at the time as a fashion assistant and could rarely afford all the amazing items that we would feature. People would always ask me where my clothes were from and they were always a mixture of high street and a few luxury items I’d had for years. So I decided to do a blog around it. At the time there weren’t many blogs that were featuring high street and more accessible items. Featuring in The Telegraphs Top 100 websites, being in a position to get my own office and working on a store event with J-Crew have all been career highlights. I read recently that the idea of balance is one we actually need to get out of our heads, not all of us have it and it’s quite elusive to most. So I’ve stopped beating myself up about it. Some days I work and some days I hang out with my daughter and I try not to feel guilty about either. I love Japanese food, so for a special dinner Roka but for a more relaxed setting I like Bone Daddies and Tonkotsu. Has having a baby impacted my eating habits? It has, but probably quite negatively at the moment, we have been eating a lot of quick meals on the go, but I’m just starting to eat a bit more consciously. Saying that we’ve always cooked our meals from scratch when we can.